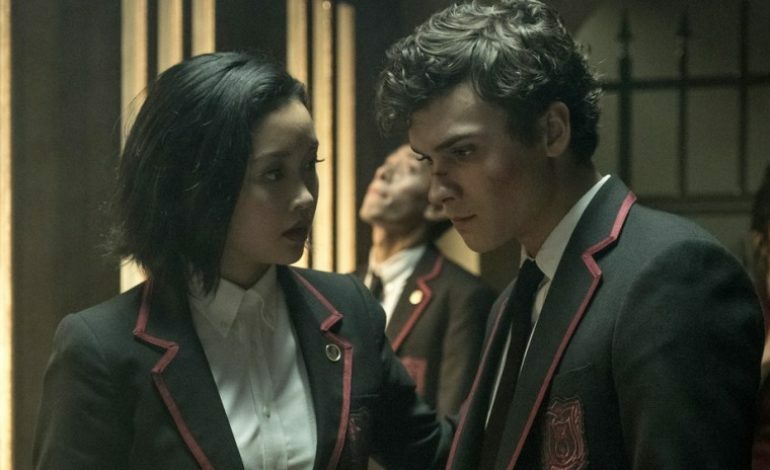 Deadly Class is SyFy’s newest action-drama series about a teen named Marcus (Benjamin Wadsworth) who is recruited to join Kings Dominion where he will be trained to become an assassin along with other teens. Based on the graphic novel created by Rick Remender, the show will follow Marcus as he has to learn the means of survival and dealing with the unlikeliest of foes. Lana Condor has gained renowned success and recognition from her role as Lara Jean in the hit Netflix movie, To All the Boys I’ve Loved Before. Now we will see her take on a completely different character in Deadly Class as Saya Kuroki in the series. Condor gave us a little insight into what Saya’s intentions in season one are. “I think a lot of her story arc in season 1 revolves around doing what Master Lin wants and taking care of her pledge, but I think other characters have a lot more in-depth, diving-in, breaking-down history of their characters,” said Condor. By pledge, she is referring to Marcus as she becomes his designated babysitter of sorts. Watch the trailer below from the show’s official Twitter page. She's his keeper. He's her pledge. Joe and Anthony Russo will sit in as executive producers for the series. A familiar face from Avengers: Infinity War will be part of the extensive cast with Benedict Wong playing the role of Master Lin – the headmaster of Kings Dominion. Deadly Class premieres tomorrow on SyFy at 10 p.m ET/PT.